Gel Polish Remover has conditioning additives the keep the skin from drying and maintain a healthy nail. 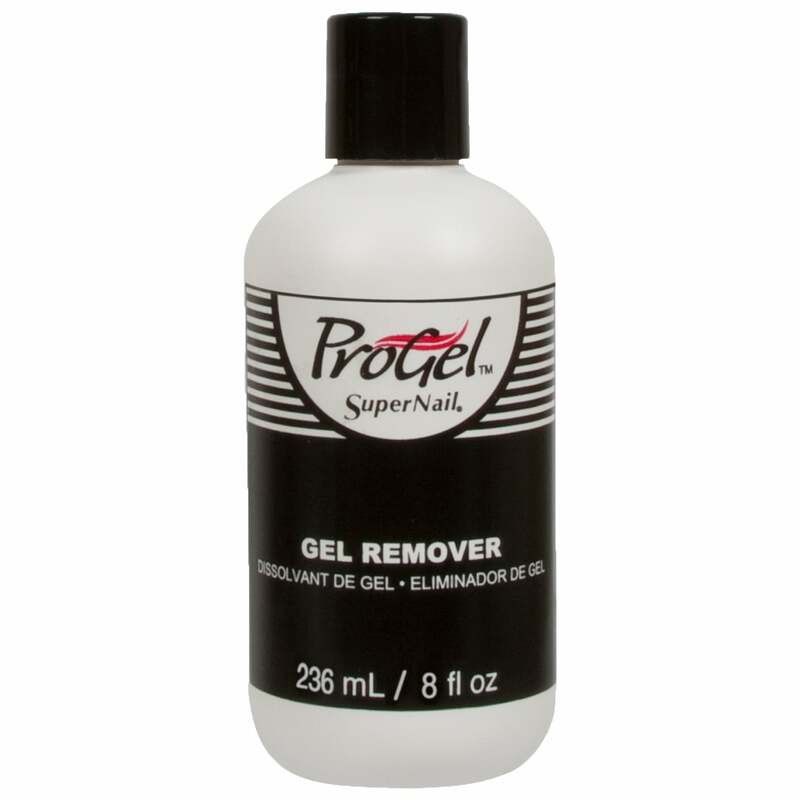 Gel Polish Remover will remove the Gel Polish with proper application in 10 minutes or less. SuperNail has been a well known industry leader, for 40 years. SuperNail offers everything the professional Nail Tech and the every day nail care enthusiast needs to care for both natural and enhanced nails. From Soak Off Gel Polish, Acrylics, Tips, Silk Wraps, Polish Remover, buffers and drill bits – SuperNail offers a complete selection of manicure and pedicure products. ProGel are a well known salon quality brand that are always expanding, constantly releasing new collections trying to make each season an easy choice for your nails. The bottle is prone to spillage-or at least mine was. Would be better if it was pump dispensing as when you pour this liquid onto pad/wipe it leaks and gets a bit messy. But other than that it does what it's supposed to!